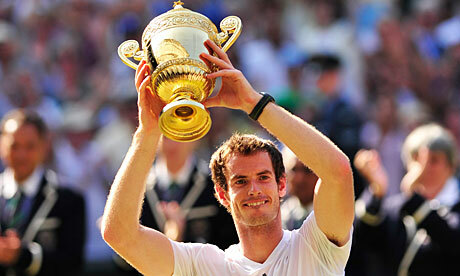 What can musicians learn from Andy Murray’s Wimbledon victory? Watching Andy Murray soar to victory at this year’s Wimbledon was as much a lesson in superlative tennis playing as it was in mental and psychological preparation and willpower. It’s true of course, that many of the top tennis players in the world play fantastically well, so what distinguishes the winner from the runner-up? Especially if their standard of playing is virtually the same? Mental strength, determination and courage. The ability to not buckle under real pressure. Musicians need exactly the same approach and preparation particularly if any kind of competition is involved. Many feel that music shouldn’t be based on competition but sadly it is prevalent throughout the profession, and in many ways it’s more difficult to come to terms with than in sport because it’s all very subjective. So whether at a local music festival or at a big international competition, competing plays a significant role in a pianist’s development. There is one psychological element that can prove very useful when overcoming musical difficulties and that is fostering the kind of concentration and energy required to focus during any performance. Many tennis players have spoken about their ability to be ‘in the zone’; the necessary enforced concentration that they have cultivated throughout the year and indeed their careers. Musicians can also foster this very useful device. I have written about the necessary preparation required to perform well many times on this blog, but a pianist can only perform at optimum level, making good use of all that ground work, if they are able to function ‘in the zone’ at the crucial moment or rather, on demand. It can signify the difference between passing or failing a music exam, not winning a music festival, an international competition, or just acting as a tremendous boost to confidence on stage. There are so many different ways to reinforce your concentration and acquire the necessary mental aptitude. Musicians and sportsman work at preparation in a similar way; practising for hours everyday honing their skills, but sportsman often have more opportunities to get ‘out there’ and perform. I think it’s vital for all musicians, irrespective of their standard, to get on stage and play. Most performers feel uncomfortable in front of an audience to start with, but after practice, they normally become accustomed to it. For me, performance concentration developed when I was a student. Encouraged to take part in college concerts (sometimes several per week), I learnt to cope with the associated nerves because it was all part of the training. Playing for peers was also incredibly difficult at first and it took time to develop total focus. 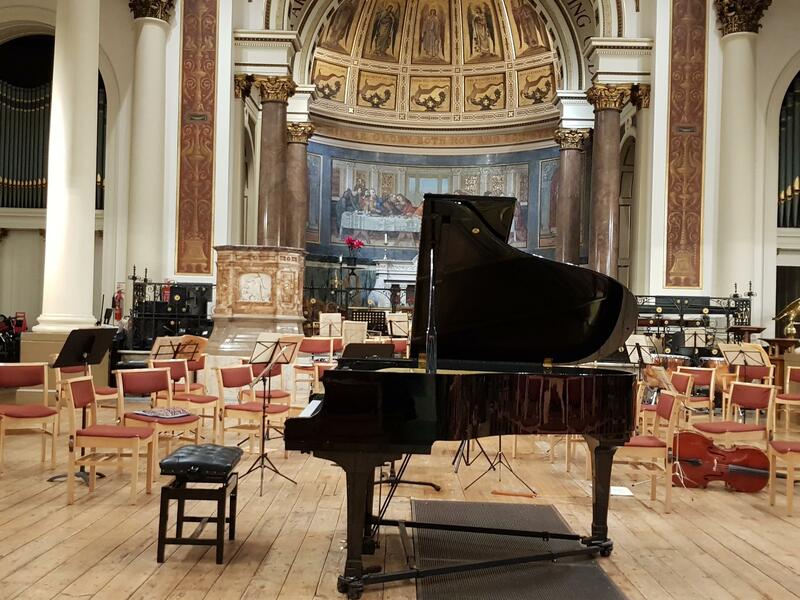 By the time I played for my final recital I was so ‘in the zone’ that I had a rather bizarre ‘out of body’ experience where I actually felt that somebody else was playing through me (all very strange and this phenomenon has occurred several times since too). To become a piano champion start by playing your pieces through really thinking about every note and every phrase. Don’t be distracted by anything. To develop consistency, practice each hand separately preferably from memory, even if you don’t plan to play the piece without the score, because memory learning really helps. Focus on detail when practising (pedalling, dynamics, articulation etc.) because this will give you plenty to contemplate when you perform. The more you can think carefully about the music emotionally then the better you will play the piece and certainly this bodes well for a good performance. Play pieces that mean something to you musically, works that move you. This will then be conveyed to your audience. It will also help you attain a positive performance experience hence give you confidence. After thoroughly studying your score and fostering a good feeling about performing the work, play the piece everyday to yourself (it helps to imagine that you have an audience listening). Then play it to your family and friends. Don’t be upset by errors, worrying about them will not help you to adopt the right attitude. Keep performing; play the piece to anyone who will listen – even the dog! Learn to concentrate under unusual and less familiar circumstances. Now work at playing it away from the piano; play the piece through in your head; this works wonders for encouraging the ‘in the zone’ mentality. Visualisation helps too. Imagine performing on stage and go from the beginning of the piece right through to the end; actually have a picture or image of doing this (it does require lots of concentration). Before you start each performance think about these three elements; tempo, pedalling and control. Then allow yourself to be so involved in the work and the music making process; eventually you will be so caught up in your playing that you will definitely be ‘in the zone’ and you will give a championship performance. Perhaps the most important attribute to developing the ‘in the zone’ mentality is persistence. Keep trying, and you will have success. Many congratulations to Andy Murray on his historic win.